Why buy Treadmills of this brand? Treadmills are a convenient and active way to ensure that you stay active. Easy to use, treadmills help you in tracking your progress, customize workout programs, lose weight, improve muscle tone, improve joint flexibility and improve cardiovascular health. Buying treadmill from ACME can be one of the best health decisions you can make. They are functional, comfortable to use and provide an ideal way to burn calories, regulate weight, and enhance your cardiovascular system. Folding Treadmills provides the luxury of a home workout and saves floor space. They are ideal for apartments and small exercise rooms. While non-folding treadmills are stronger and more robust than the folding ones. Their trained staff can help you select the machine that is right for you. ACME carries quality treadmills in a wide array of brands and styles. The treadmills are classified under Home Fitness and Commercial Fitness. Thus, you can choose what suits you the most. 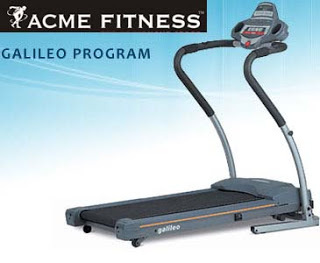 ACME offers the best value in treadmills in the industry. They offer something the big boxes can’t, and that too at unbeatable prices! You could inquire about the treadmill prices online, test them at their offline store and purchase only when satisfied. All the treadmills at ACME promise exceptional resistance, stride length and upper body training. Regarding durability, all the treadmill brands at ACME assure maximum user weight, trendy design, savage workout and come with an extended warranty. All the treadmills at ACME are crafted with features like adjustable incline, tailored programs, heart rate control. The higher versions incorporate HD Video and Web and are iPhone and iPad compatible too. At ACME we understand that every individual has a different set of needs. Hence we select brands that cater to these unique set of requirements. For instance treadmills by BH Fitness are developed with the Green Power energy saving technology. Turn your tablet or smartphone into an instructor who closely monitors of your BH Fitness treadmill with the i.Concept technology. Enjoy a 100% interactive, motivational, and 100% healthy workout with the best of two worlds; entertainment and health. Amongst the entire Bowflex treadmill range, Bowflex 216 is the top-notch model. Great option from a serious runner to an active family, this treadmill from Bowflex comes with maintenance-free workout belts; advanced calorie burn calculators; variable cushioning; full-colour workout screens; wireless heart rate monitoring; Bluetooth for data sharing; integration of mobile workout apps; and much more. The treadmill allows extra elbow room and supports up to 400 pounds. Nautilus offers high-end treadmills. All its treadmills are the result of extensive research and study. Its home use treadmills include Sports Series and Sports Series each of which comes with three models. Made with premium parts and backed with great warranties their entire product range offers large workout room.